Home / SkinCare / REN Perfect Canvas. REN introduce a silicone free skin finishing serum named perfect canvas. Have you always thought a serum is applied before a moisturiser? 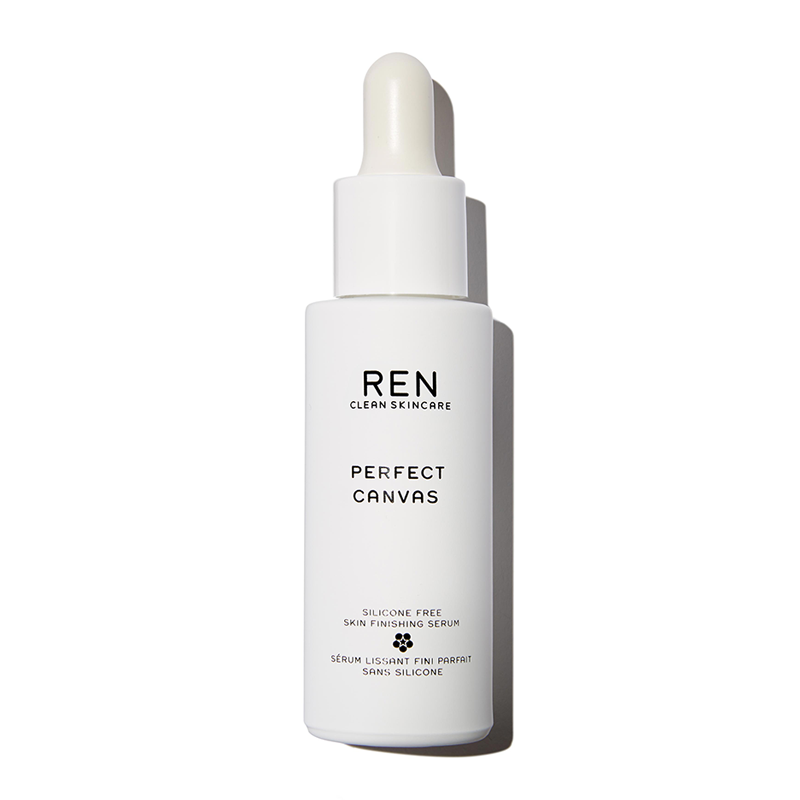 The REN perfect canvas gives you a little clue with its introduction by using the words "Skin Finishing" meaning your last skincare product to be applied. Suitable for all skin types, the light textured silicone free serum adores your skin when applied after your moisturiser. Pro-Biotics smooth the skin and enhance skins structure by enhancing surface cell renewal, whilst the Agave extract helps leave skin with a matte finish giving you the perfect canvas for guys and girls. 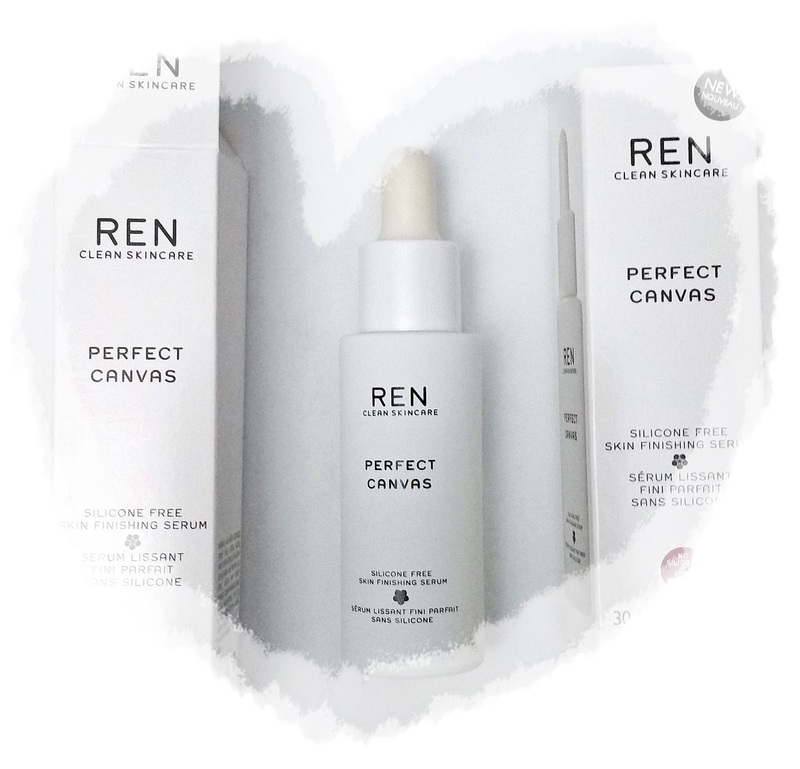 The REN perfect canvas is situated in a white sleek 30ml bottle with an eye dropper tool for easy to use dispensing. Applying a few drops to fingertips and then gently massaging over your face, ensuring all your face is covered will help you achieve the best results. The main three naturally derived Bio-Actives all play a key skincare role in looking after and nurturing your skin when applied. Pro-Biotic extract to aid skin structure. Agave extract is a naturally derived filler to prime skin. Alpha-Glucans help to promote positive natural skin flora to keep skin healthy. Aqua (Water), Lactococcus Ferment Lysate, Glycerin, Maltose, Caprylyl/Capryl Glucoside, Alpha-Glucan Oligosaccharide, Agave Tequilana Leaf Extract, Xanthan Gum, Parfum* (Fragrance), Sodium Hyaluronate, Sodium Benzoate, Phenoxyethanol, Citric Acid, Lactic Acid, Sodium Chloride, Glucose, Limonene, Linalool * 100% Natural Fragrance - Parfum 100% Naturel. A break down on some of the ingredients that play a key role in complimenting your complexion and looking after your skin. Lactococcus Ferment Lysate is from a lysate of the probiotic Lactococcus Lactis that plays a key role in helping with anti-ageing. A fairly new ingredient to be add into skincare but has been found to provide essential proteins and enzymes in the skin quality is increased, barrier function and cell cohesion improved, and skin renewal is accelerated. Glycerin is a humectant that attracts moisture onto the skin helping with many skin conditions for soft, supple skin. Maltose is a sugar that provides skin conditioning, moisturisng and masking. Sodium Hyaluronate is a super magnet for moisture to enhance the appearance of dry or damaged skin by reducing flaking and restoring suppleness. Lactic Acid is one of the most popular alpha hydroxyacids (AHAs) in skin care today, marketed as a powerful ingredient that helps reduce acne breakouts and the appearance of wrinkles and other signs of ageing. 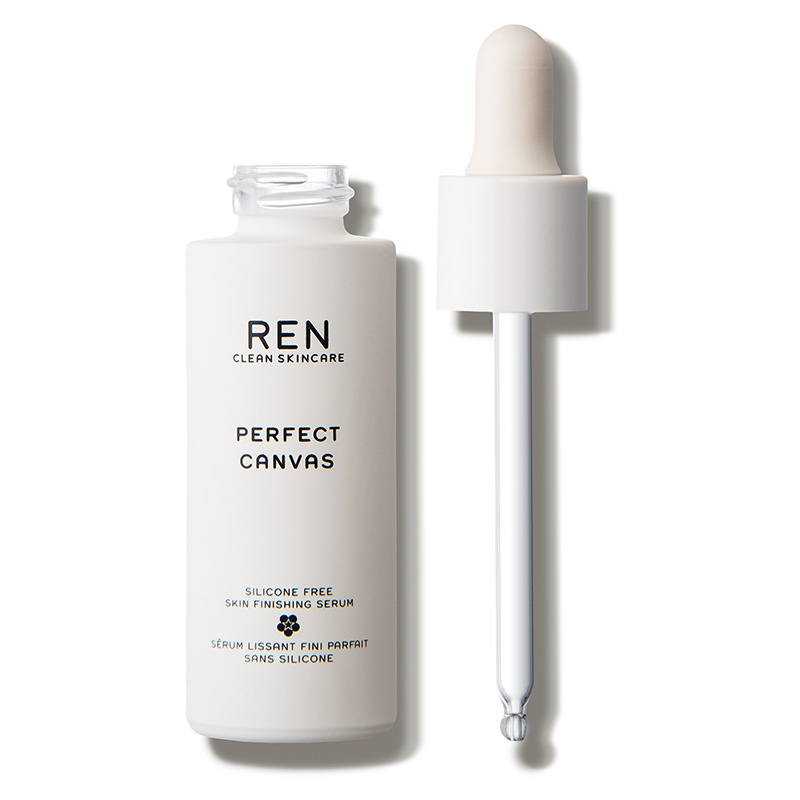 The REN perfect canvas is clear in colour whilst being runny in consistency, as u would expect from a water based serum. I was surprised on just how soothing the serum feels on the skin and also on how it absorbs really quickly, great for when your in a rush to get ready. Skin is primed to perfection for you to apply your make-up or for any guy looking for an extra boost to their skincare regime. 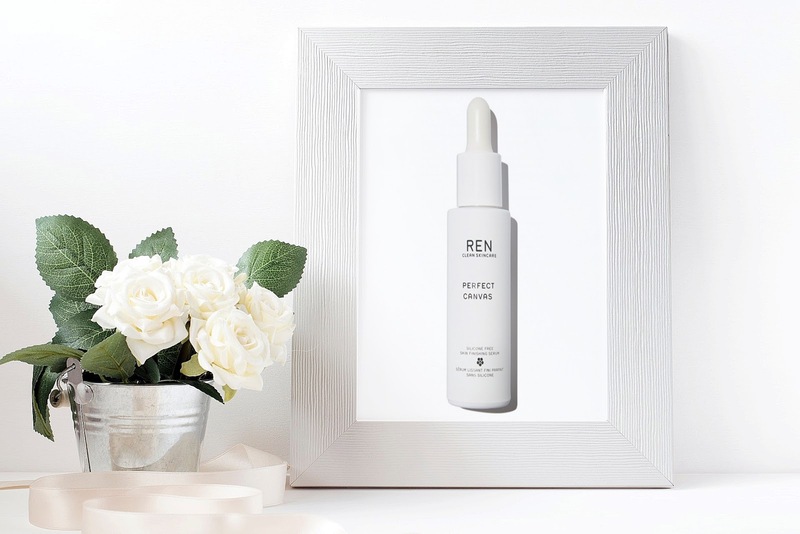 The REN perfect canvas is a fuss-free welcomed addition that contains skin loving beneficial ingredients in its stylish bottle. See more of REN'S beautiful clean skincare range at ManOrganic. X Neil.